The job description of a translation project manager is very different from what it used to be. Freelance translators have always managed their own projects — and of course, this still holds true. But translation companies now often employ specialists who spend their entire working day organising translation and/or interpreting projects. That being said, the project manager’s role is not set in stone. Some project managers are all-rounders who also take care of marketing, sales and billing, while others exclusively organise and deliver translation projects. The one thing that all project managers have in common is their “superpowers”: planning, managing, monitoring and completing projects are only the tip of the iceberg, after all. 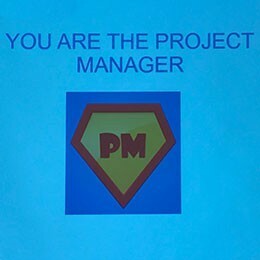 Project managers always need to stay organised no matter the time constraints, adapt flexibly and creatively to different situations, know projects and customers inside out, optimise processes and ensure they always stay on top of all of the above — a fitting motto would be, “Keep calm and be a hero”. The broad spectrum of tasks that fall to a project manager, the soft skills required of them and the rapidly evolving technology make it challenging to organise a conference that covers all of the different requirements and interests under one roof. As the Senior Project Manager at Peschel Communications, I had the opportunity to travel to Porto, Portugal, in mid-September to attend ND focus — Elia’s focus on Project Management. It is the only industry conference that provides a platform for translation project managers, who all share a common goal: to optimise processes and make their jobs more efficient. 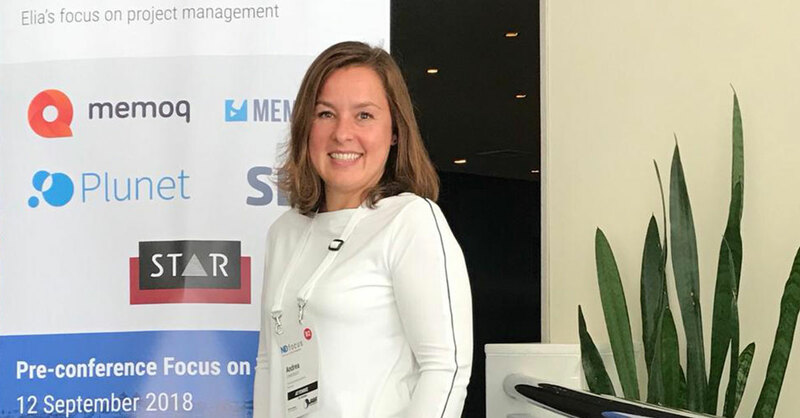 Having attended the debut conference in Barcelona in 2016 together with my colleague Helena Triesch, I was excited to see how this year’s event would unfold. the ongoing improvement of the soft skills a project manager needs. On the eve of the two-day conference, the 96 participants from over 20 countries had the opportunity to explore the basics of some innovative technical solutions for the translation industry. The two areas covered were the aspects of CAT tools that are relevant for project management, and an introduction to different project management systems. Following this, the participants had the opportunity to take a closer look at some of the tools and received helpful tips on some of the finer points of familiar industry-specific systems. The conference was structured so that everyone could listen to all four presentations offered on the first day, ensuring that they had the necessary theoretical grounding for the workshops held the day after. From “Agile Localisation” to “Different Clients, Different Needs” to “Assertiveness”, there was something for everyone. We rounded off the proceedings by looking at the future of the project manager’s role, particularly in light of the speed at which the technology is evolving. The workshops on the second day offered a range of exciting opportunities. We looked at how to improve our soft skills, how to identify customer needs beyond the obvious or what they explicitly request, and how to tap into potential for cross-selling in individual situations. I found the discussions with other attendees particularly valuable. Our conversations during the workshops, in the coffee breaks and at the networking dinner provided plenty of food for thought and ideas for our own processes. Some challenges are common to translation companies around the world, and we discussed these openly without thinking of our fellow attendees as competitors. This combination of theory, technology and lively discussions with colleagues provided many practical tips and tricks for using our systems, as well approaches and ideas that will benefit me personally and our processes at Peschel Communications. ND Focus — Elia’s focus on Project Management is always worth the journey!